This weekend, we ventured out of Dubai to Abu Dhabi to visit the recently opened Ritz Carlton, GrandCanal. The beautiful resort located at the waterfront consists of ten stately buildings arranged in a crescent formation, overlooking the 1,600 square meter pool. The amazing backdrop of the hotel is the majestic Sheikh Zayed Grand Mosque. Stunning. 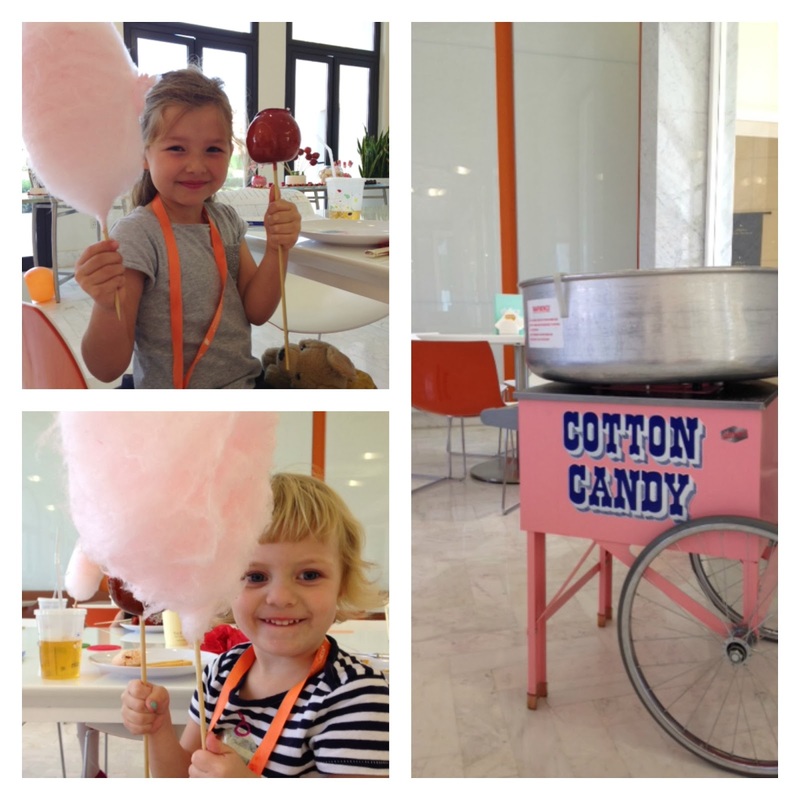 The reason behind our day trip was the launch event of the new exclusive Ritz Kids program. A fantastic partnership with Jean-Michel Cousteau Futures Society. 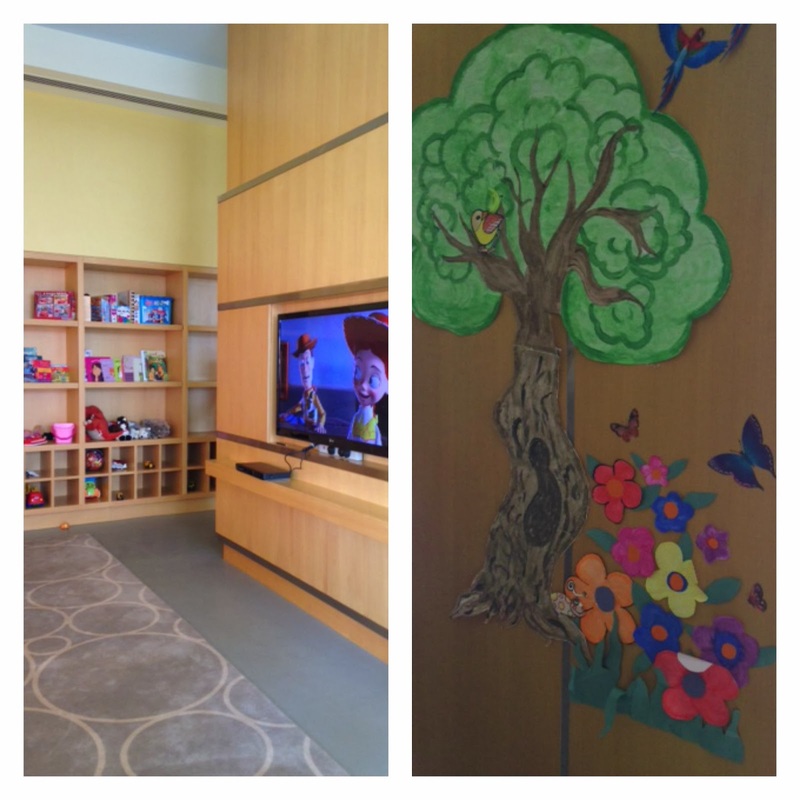 A program for children aged 4 to 12 years old engaging little guests to explore the world around them. 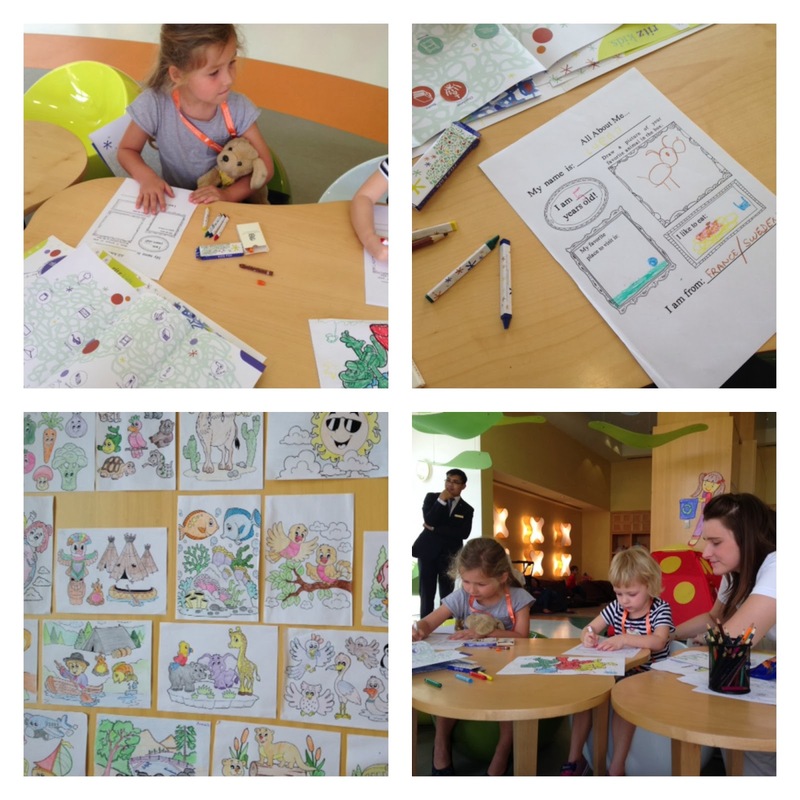 How do you translate those concepts to young children in a fun way? Divided in age groups, the activities are designed to intrigue and thrill the young minds. The exciting adventures like treasure hunt, exploring the garden, searching for birds, playing games to learn about different types of fishes and sharks, related arts&craft activities, learning about myths and legends… create memories to take home. The children were served lunch at Dolce, the very cute italian-style café. 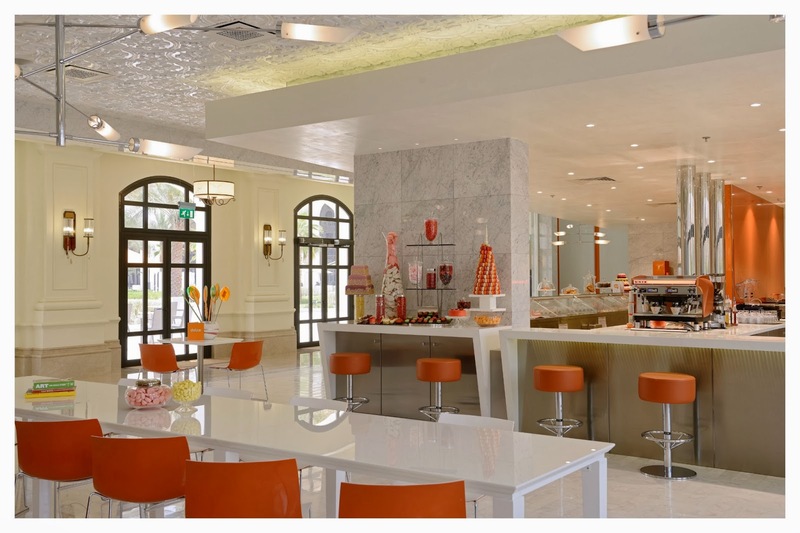 The bright, friendly and colorful venue offered a large selection of sweets for desert, a real treat for children. While Luella enjoyed herself we had fun playing master chef at the Asian restaurant Li Jiang. 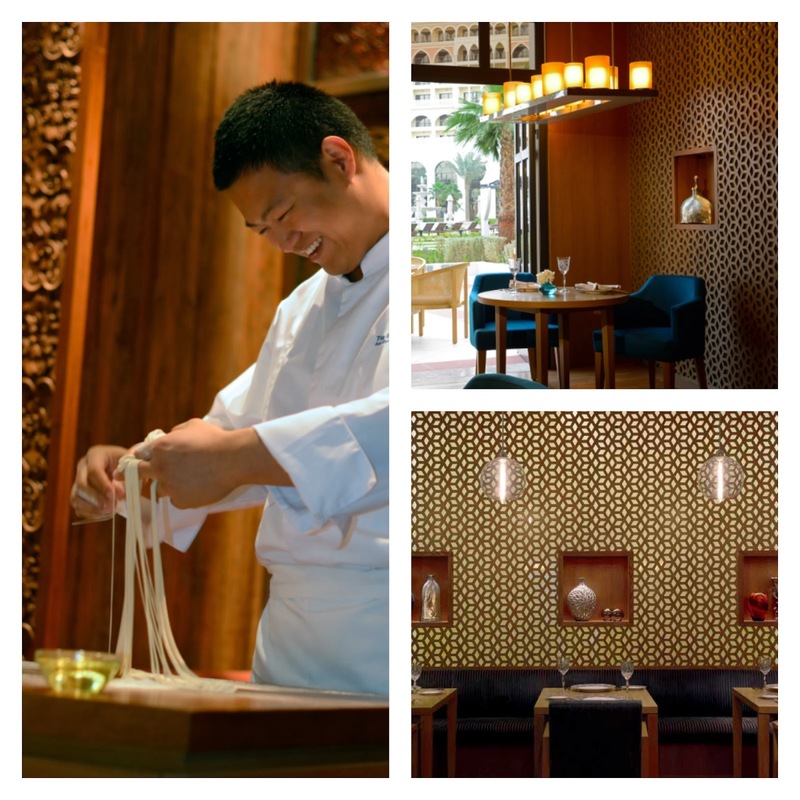 Behind the open kitchen we practice the art of pulling noodles! Then we had a lovely lunch at Mijana, Contemporary Arabic restaurant. Classic lebanese food served very well. Everything from homemade mezzos, hummus, kibbeh, falafel, moussaka, baba ghannouj, grape leaves and tabouleh to hearty grilled meat and hombaked pita breads was delicious. All very tasty and served in an elegant and warm atmosphere. I am a Kinder Chocolate maker!